If you were given the chance to pitch your innovative, game-changing idea to an audience of business professionals and investors, would you jump at the opportunity? Last Tuesday, the summer-quiet halls of GPS filled up with the buzz of an audience of more than 800, all gathered to watch nearly a dozen startups from across the U.S. make that leap. 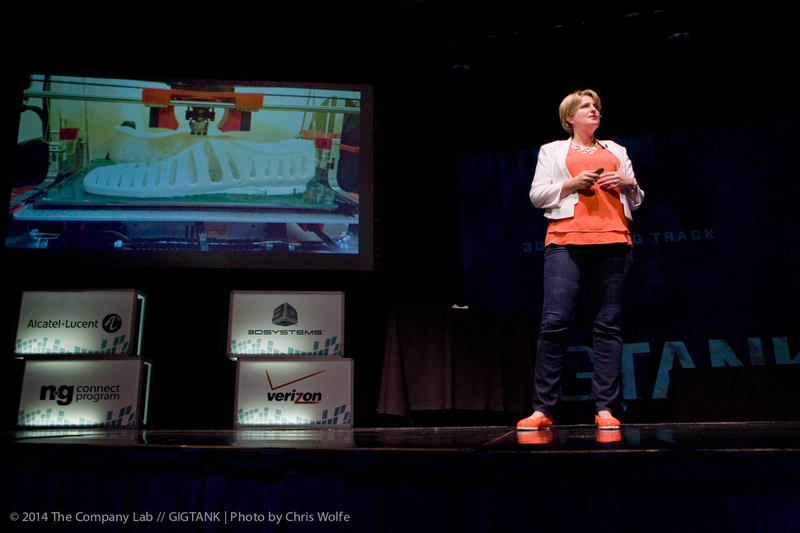 GIGTANK Demo Day 2014, hosted by The Company Lab (CO.LAB), featured pitches from 11 teams of entrepreneurs within the 3D printing, smart grid, and healthcare industries—all looking for potential customers, potential pilot partners, and of course an investor or two. It was more than a gathering of hopeful startups; it was also a celebration of Chattanooga’s emergence as a new destination for entrepreneurial development. One of the biggest rounds of applause at Demo Day came when Lucy Beard, CEO and Founder of Feetz, a manufacturer that creates custom-fit 3D printed shoes, announced the company’s plans to permanently relocate to Chattanooga from San Francisco. Like Lucy, many of the GIGTANK 2014 entrepreneurs temporarily relocated to Chattanooga for the summer to participate in the intensive startup development experience the program offers. 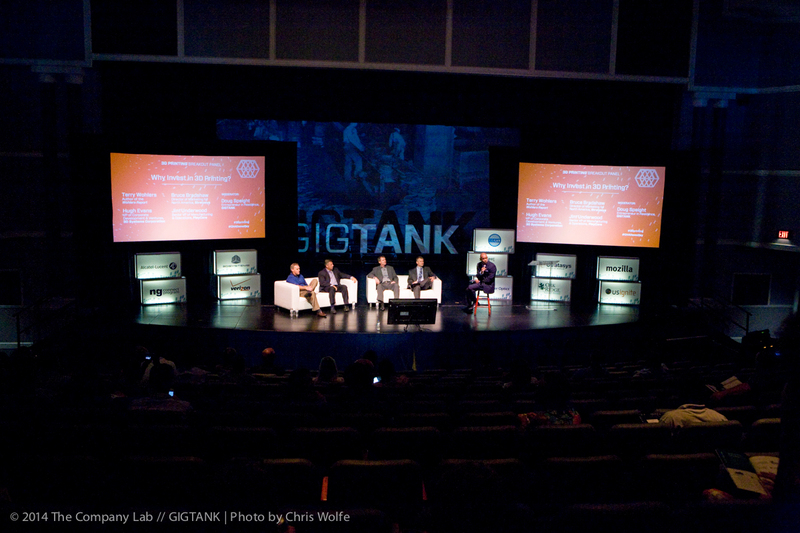 With housing provided by the University of Tennessee at Chattanooga, each GIGTANK team enjoyed free accommodations, as well as a number of other resources from GIGTANK’s network of partners and sponsors. In addition to having workspace at CO.LAB and access to facilities and technologies at Chattanooga State Community College, each startup also connected with a Chattanooga-based lead mentor who helped guide and consult the team on its overall business strategy. Startups also received the support of 10 GIGTANK specialists who hailed from top colleges and universities across the nation. This support unit worked alongside each startup team throughout the summer, helping them refine their business plans, develop brands, and build features into their products and services. One specialist, George Liu of Columbia University, actually has his own startup in the works, bringing the mentor-to-practitioner aspect of GIGTANK full circle. Terry Wohlers, the keynote speaker at GIGTANK Demo Day, also acknowledged the value of creating environments like GIGTANK, where entrepreneurs have ample opportunities to collaborate with business experts, skilled specialists, and industry peers. In addition to the startup pitches at Demo Day, three panels of experts discussed the topics of investing in 3D printing, energy sector disruptors, and innovations within the healthcare space. Maria Currier, VP of Operations for GIGTANK startup KORHealth, said her greatest takeaway from the Demo Day experience was the tremendous amount of connections she established. 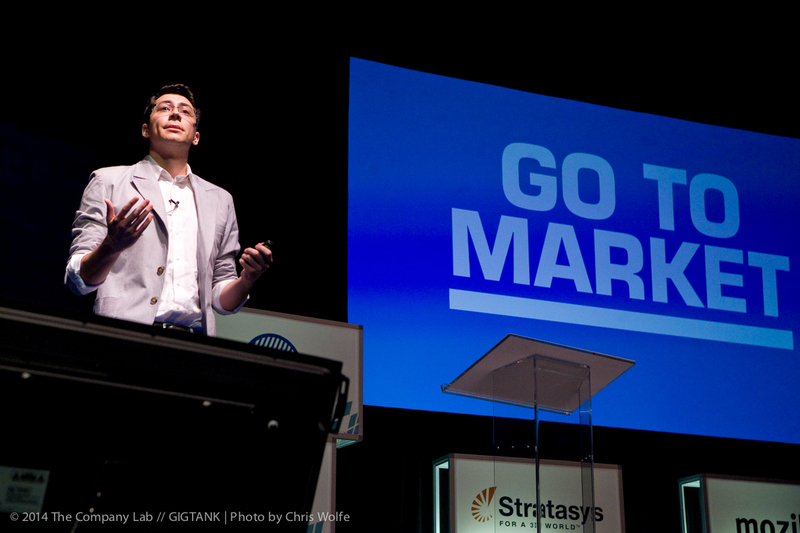 If persistence makes the difference, the future looks bright for the startups of GIGTANK 2014. Stay tuned for updates as they move onward toward success.